Explore three of Bhutan's most amazing wildlife destinations that are home to a rich variety of rare and exotic animals! This packed 10-day wildlife and cultural adventure takes you into the scenic regions of Paro, Punakha, and Bhutan's largest national park - Jigme Dorji. Your Himalayan trekking adventure starts with some rest in Kolkata to gear up for some action-packed days ahead. Arrive in the bustling city of Kolkata, meet our representative at Dum Dum Airport, and transfer to your hotel. We advise you to get adequate rest today, as tomorrow you begin an exciting journey into the amazing wilderness of Bhutan. Stay at Peerless Inn for the night. The hotel is located close to shopping areas, in the heart of Kolkota. World-class ambience and warm hospitality will greet you here. All rooms and suites are well-appointed and equipped with modern facilities. Fly in to the beautiful town of Paro, Bhutan today. Take an early morning flight to Paro. Paro is a town in an agricultural valley of the same name. It is situated at an altitude of about 2,300 meters above sea level. You can spot capped langurs, Rhesus monkeys, Himalayan black bears, Himalayan serows, and several species of deer in this region. Paro’s most prominent landmark is the Rinpung Dzong (Fortress of the Heap of Jewels), which was rebuilt after a fire in the early 20th century. 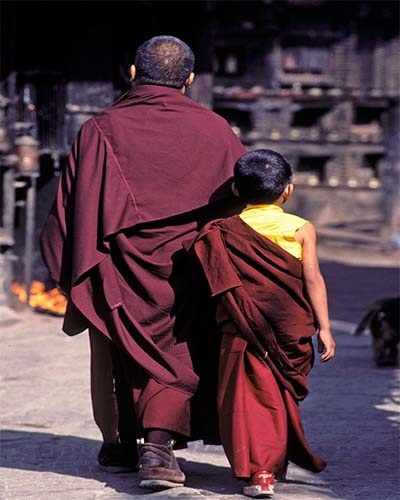 The Dzong has many shrines and prayer rooms, and houses a large community of Buddhist monks. Its interior is richly decorated with beautiful paintings and woodcarvings. You might also see several splendid examples of traditional architecture and richly decorated buildings in and around Paro. Visit Chelila Pass for a magnificent view of the Himalayas. Explore this beautiful area looking for resident wildlife. Drive to Chelila Pass (3,800m) to enjoy a splendid morning view of the Himalayas and properly start your Bhutan trekking adventure. Carry a picnic lunch along with you. Walk over the ridges on the southern face of the pass to spot the Himalayan serow. The conifers and sub-alpine forests around Chelila are an ideal habitat for this exotic mammal. You might also spot musk deer and mountain foxes. Drive back to Paro in the afternoon. En route, stop to visit Dzongdrakha Temple. Spot capped langurs on the nearby cliffs, where they forage for acorns and wild rose berries. Travel along a scenic route to Punakha and spend the day walking around this area, looking for yaks, bears, Rhesus monkeys, etc. Leave Paro and head to Punakha on a four-hour drive. Go across Dochula Pass (3,050m), where you will get a spectacular view of Bhutan's towering snow-clad mountains. Lots of fluttering and colorful prayer flags adorn this pass. Look out for yaks grazing by the roadside. Go on an enjoyable four hour walk through the area's villages and forests. You may be able to spot bears, Muntjac deer, wild boars, Rhesus monkeys, hill partridges, and Kalij pheasants here. In the evening, reach Lapchaka, from where the vehicle will take you to your hotel at Punakha. Travel to Jigme Dorji National Park – Bhutan’s largest national park, and explore the area for wildlife. Set up camp here and spend the evening interacting with the locals. Go on an early morning excursion to the banks of the Pho-chhu River. Here you might spot the highly endangered white-bellied heron, the second largest heron in the world. Then drive north of Punakha Dzong to reach Jigme Dorji Wildlife Sanctuary. Jigme Dorji is the largest national park in Bhutan. It covers an area of about 4,329 sq km and is home to snow leopards, musk deer, Himalayan black bears, red pandas, sambar deer, and barking deer. See wildlife in Jignme Dorgi National Park and have lunch here as well. When evening approaches, head towards your camp at Damji Village, where you can interact with the park warden. The remainder of the evening will be spent touring the village. 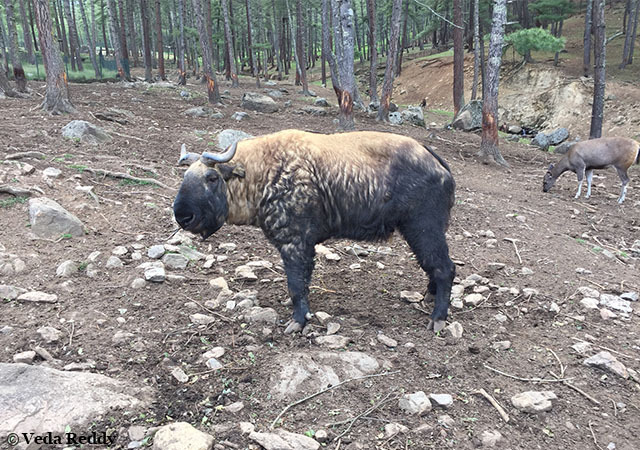 Spend the day searching for takin – Bhutan’s national animal. Also try to spot Himalayan black bears and tigers. The park warden will accompany you today as you set out to explore the deep jungles in search of the takin, Bhutan’s national animal. The takin’s strange appearance has an interesting legend behind it. According to this legend, the takin was created by a divine madman (Drukpa Kinley), who put a cow’s head on a goat’s body! If you’re are lucky, you may also spot a tiger or a Himalayan black bear. You will notice that the vegetation around here consists mainly of bamboo thickets and the terrain is uneven and steep. By late afternoon, you drive back to your hotel at Punakha. Travel to and explore the Gangtey Gompa Valley today. Visit the Royal Society for Protection of Nature here. Spot cranes around the area. Your destination for today is Gangtey Gompa located three hours away from Punakha. The Gangtey Valley area lies at an altitude of 3,300 meters. It is home to the black-necked crane, a rare species of endangered crane whose roosting habitat is being threatened by economic development in China. On the way to Gangtey, keep a look out for capped langurs and red pandas that roam around the forests above Nobding. During your visit to the Gangtey Gompa valley, you will spend about an hour at RSPN (Royal Society for Protection of Nature). In the late afternoon, go on a two-hour nature walk around the valley and keep an eye out for the area’s cranes. Travel to Dodina via the capital city of Thimpu. Hike to the Cheri Temples in Dodina. 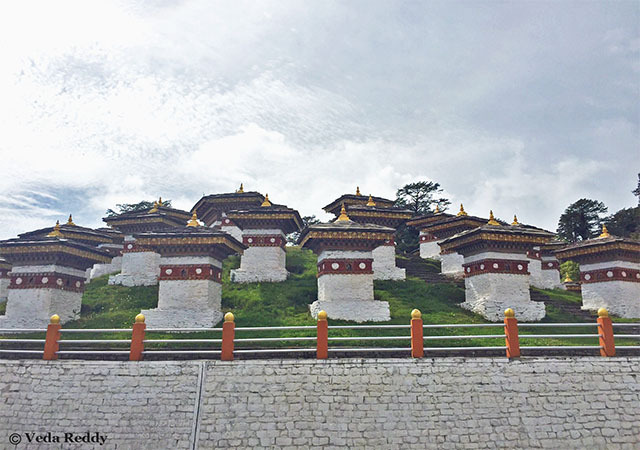 Travel to Dodina via Thimpu – Bhutan’s capital city. Hike for about an hour to reach the Cheri Temples. You might see mountain goats and gorals in the area. Then drive to a viewpoint above Thimphu (approx 45 mins drive). Also explore the culture of the Thimpu region and visit a takin enclosure. 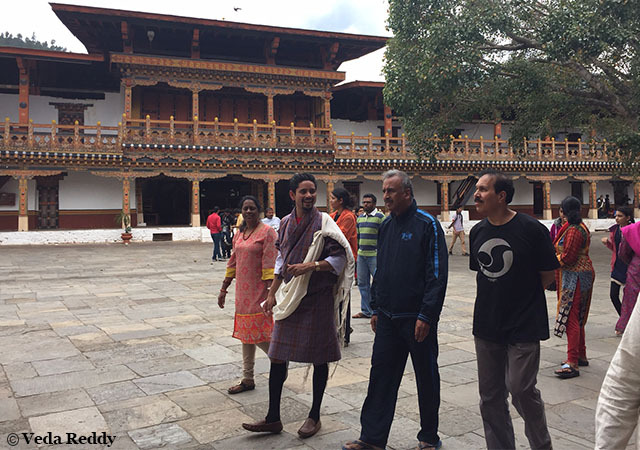 This is the last leg of your Bhutan tour when you head to Paro Airport for a flight to Kolkota. Head to Paro Airport (approx one-hour drive) for your flight to Kolkata. You will be welcomed by our representative upon arrival at Kolkata airport, who will help you get to your hotel. Your trekking adventure ends today as you are transferred to the airport for your flight home.